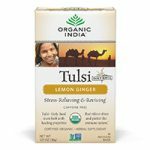 ORGANIC INDIA is an incredible company specializing in beautiful organic Tulsi Teas and herbal supplements. Their organic certification doesn’t go anywhere near close to providing insight into their commitment to reversing degradation in Indian farming communities. They describe it best as committing to practices that “heal the Earth”…what a beautiful sentiment and driving force behind their investment in regenerative agriculture. Check out the short video below which provides you with a mere snapshot into the natural beauty of India. As someone who truly “found herself in India” back in 2012 during my solo Eat, Pray, Love trip, India has since held such a tender place in my heart. ORGANIC INDIA has turned back time regarding the way they approach regenerative agriculture by embracing ancient practices, and following the rhythms of nature which all serve to improve soil and water conditions, and revive the local ecosystem. I make a concerted effort to buy, and support, products that are organic and Fairtrade and now that I have such an in-depth insight into the practices that ORGANIC INDIA embrace I’ll be doing a bit more research from here on out. They do set a high standard! 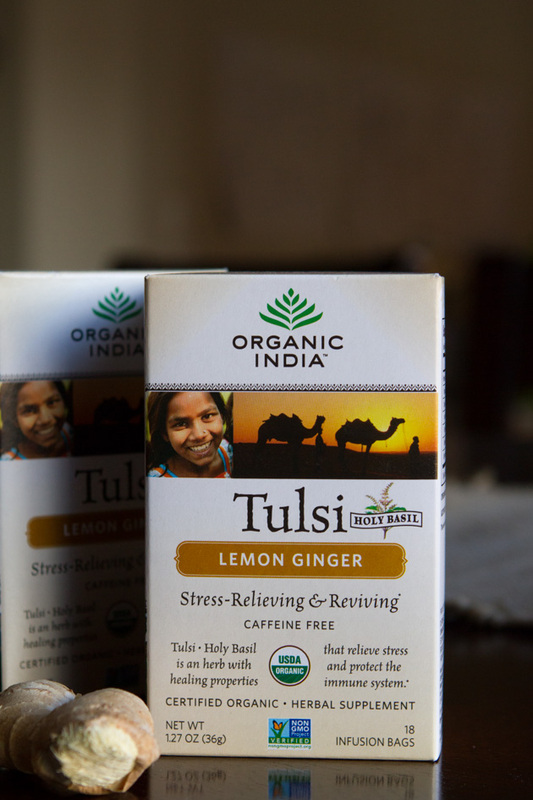 Tulsi Lemon and Ginger is as classic as the original, an everyday tea, slightly more subtle than it’s sister Ginger tea with a turmeric twist. There’s a teeny hint of lemongrass in this one which sets it apart from the rest and with no stevia added it’s up to you whether or not you want to go down the sweet root or not. I like it both ways depending on my mood! As with the other varieties of Tulsi Tea serving it, cold is the immediate alternative. 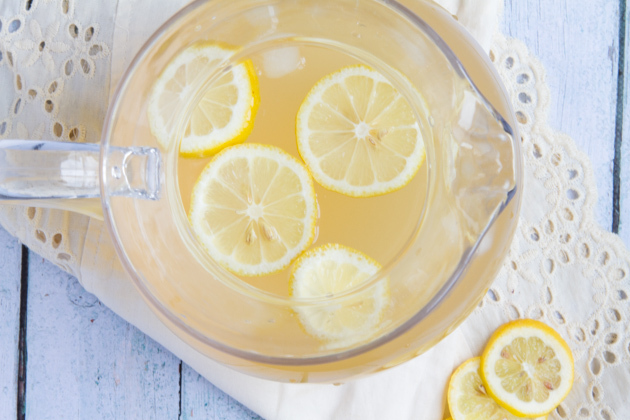 I’d go all out lemonade like on this one with lots of fresh lemon and sparkling water, stevia to sweeten! Why not try using the loose leave tea for marinading your next flank steak…a tangy, delicious tenderized steak! Ginger Lemon and Lemongrass all sound like a magical flavour bursting combination that would work well with fish. Brew some tea and use it to poach your next fillet of firm white fish! I bet it would work a treat! Zingy exotic lemon and ginger… it’s a new popsicle flavour in the making! 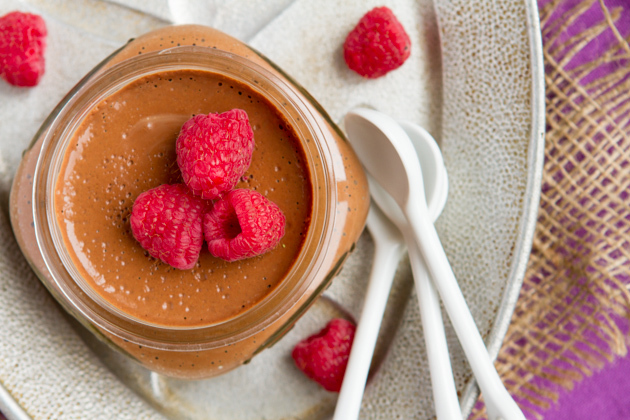 A delicious refreshing energizing mousse…the digestive soothing properties fortified by the grass fed gelatin. Leave out the cacao powder and add in some lucuma powder and lemon zest for extra zing and touch of sweet tartness. Some baobab powder would also compliment the flavours perfectly! 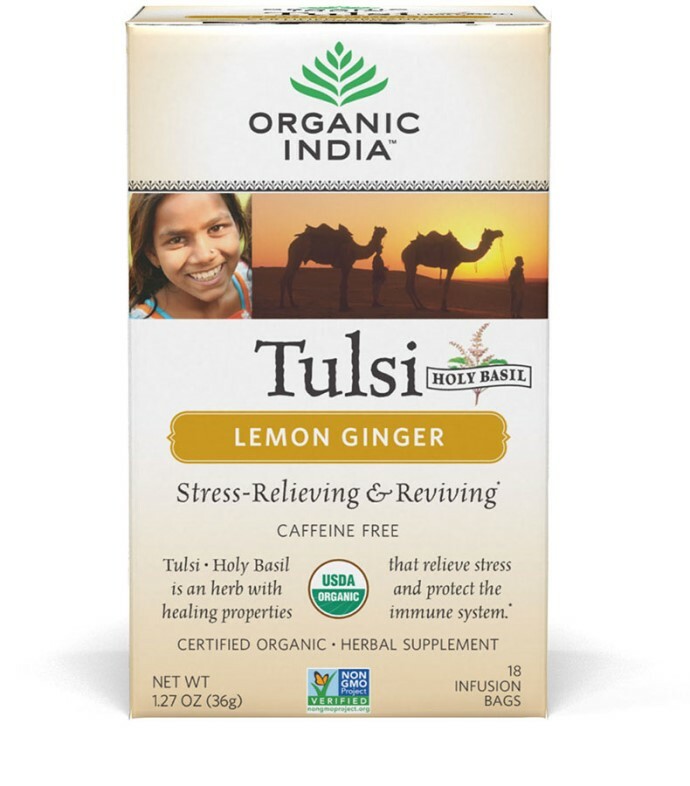 Refreshing, light and energizing, this Lemon and Ginger Tulsi is my favourite tea to start the day. Be sure to check out all the other varieties over on the Tulsi site… and tap into my previous posts to find out more about the incredible work that ORGANIC INDIA do, and just why their products are wholeheartedly nurturing, from farm to consumer.